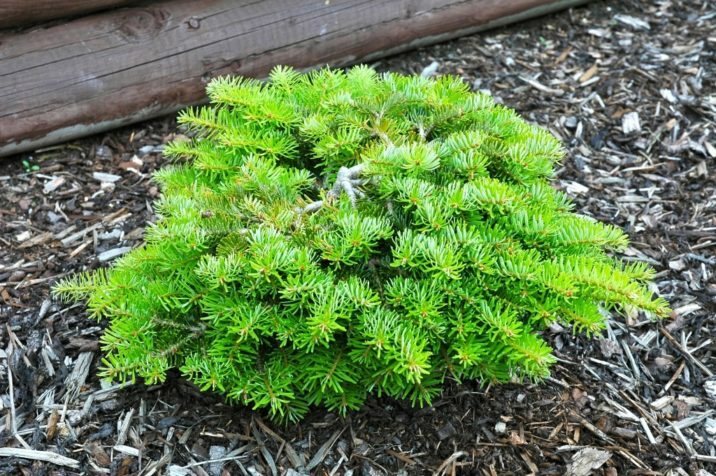 Abies alba 'Kremnica' is a nice symmetrical, globose dwarf selection of European White fir with fresh, bright-green needles and a tendency to express bare branch surfaces at the top of the plant, adding a point of interest. After 10 years a mature specimen will be 12 to 15 inches (30 - 40 cm) tall and wide, suggesting an annual rate of growth of 1 to 2 inches (2.5 - 5 cm) per year. This cultivar originated as a witch's broom found in Slovakia by Roberta Roth. It is named for Kremnica, Slovakia, the town where it was discovered. Occasionally this plant is seen misspelled as, 'Klemnica' in the nursery trade. 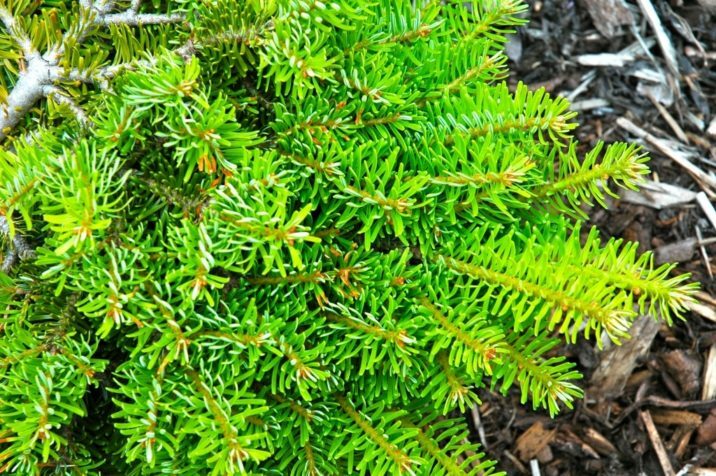 Abies alba 'Kremnica' — a closeup of foliage detail.